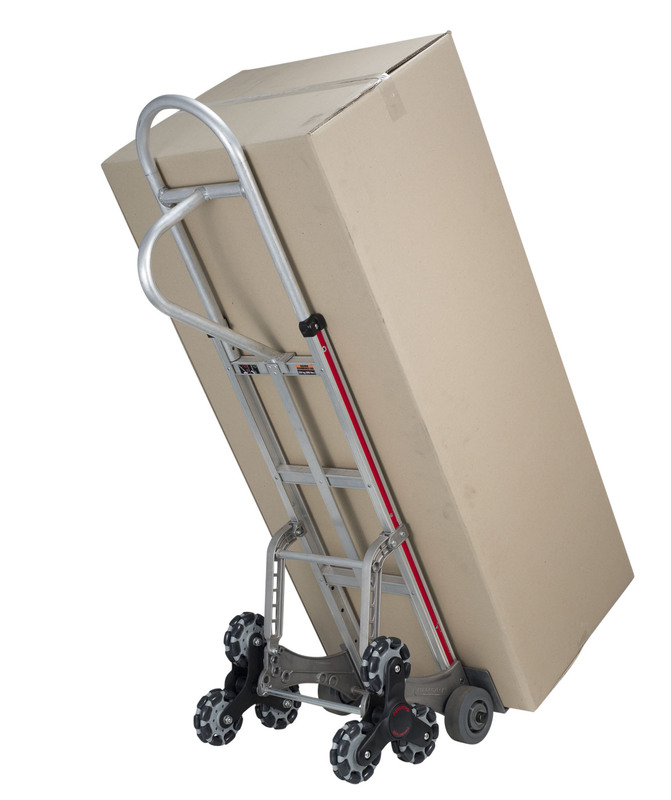 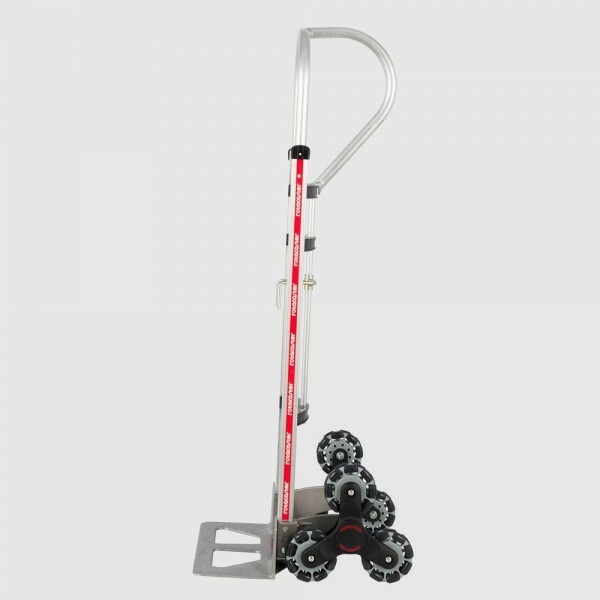 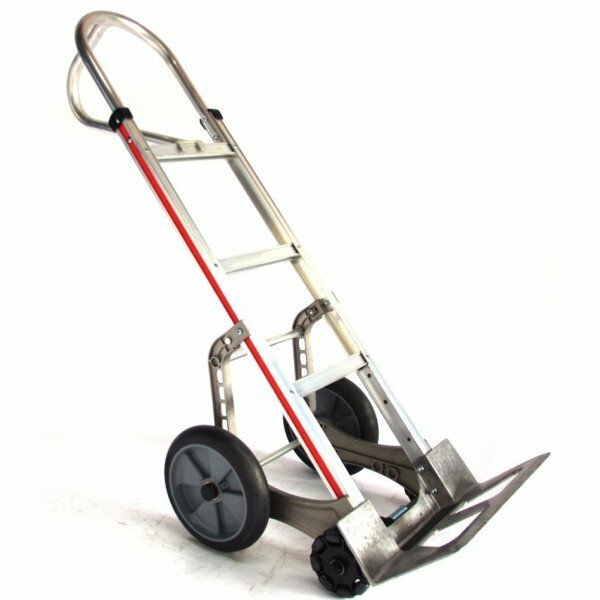 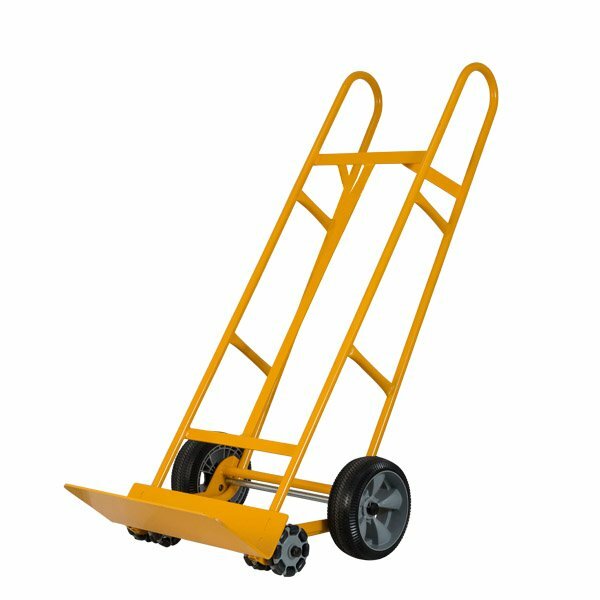 The Rotacaster Stairclimber is a revolutionary hand trolley that reduces the effort in the direction of travel up and down stairs. 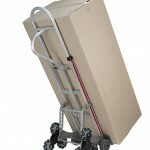 It is a tough, feature laden hand-truck. 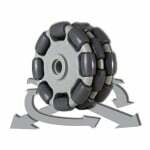 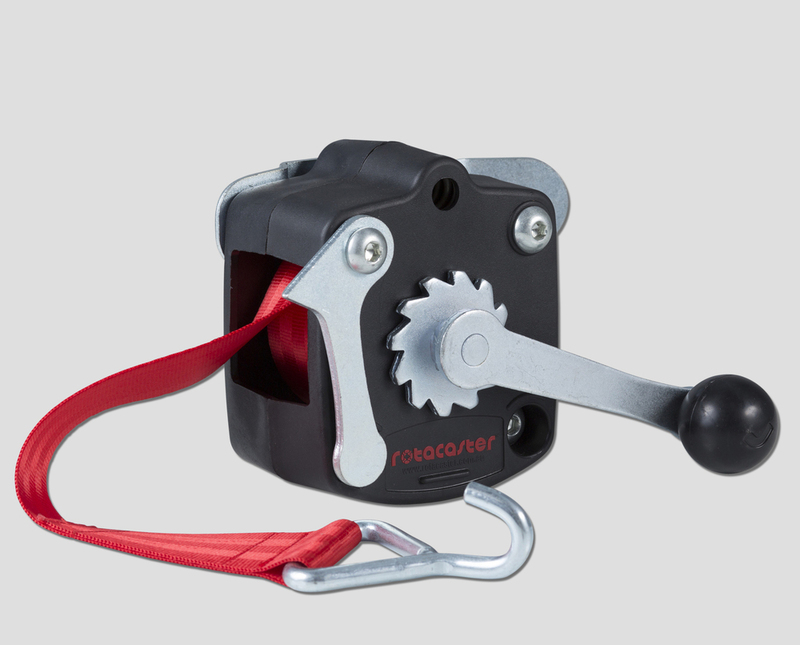 Designed around the revolutionary Rotacaster multi-directional wheel, the Rotacaster Stairclimber’s clever design and amazing 360 degree maneuverability makes them faster, easier and safer to use, resulting in direct and immediate increases in productivity. 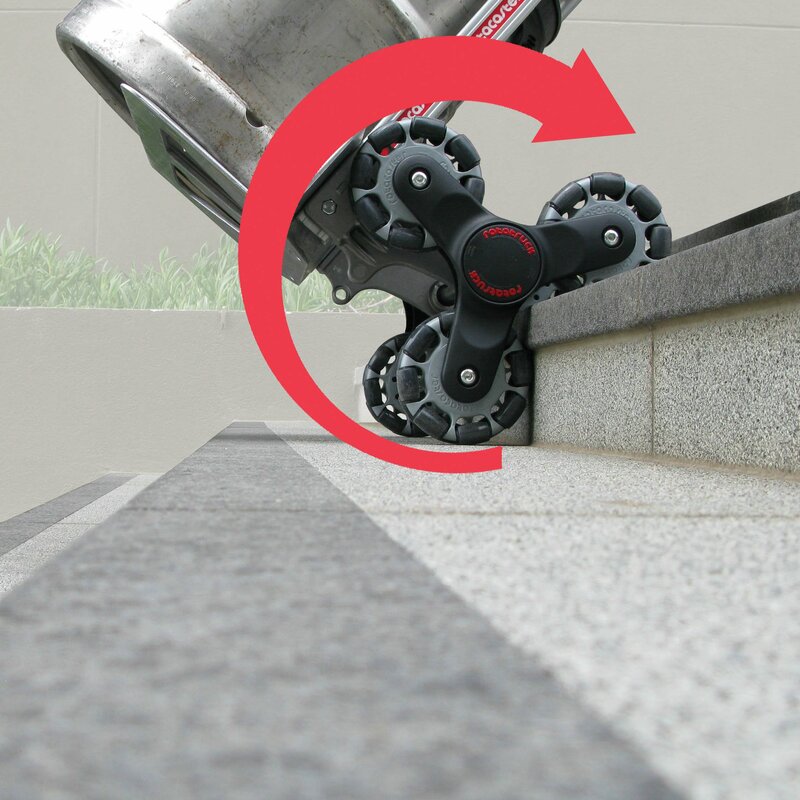 The non-marking polymer covers help avoid wall damage and the wide protective stair nosing does the same for stairs. 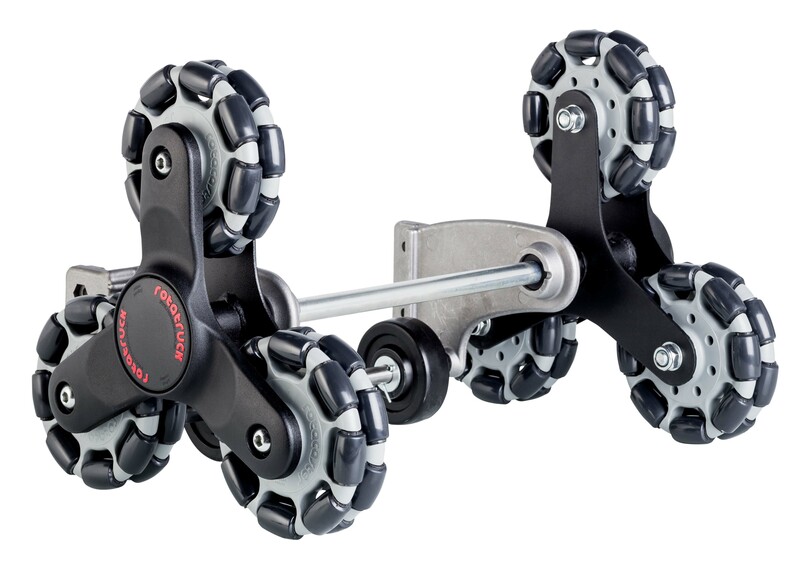 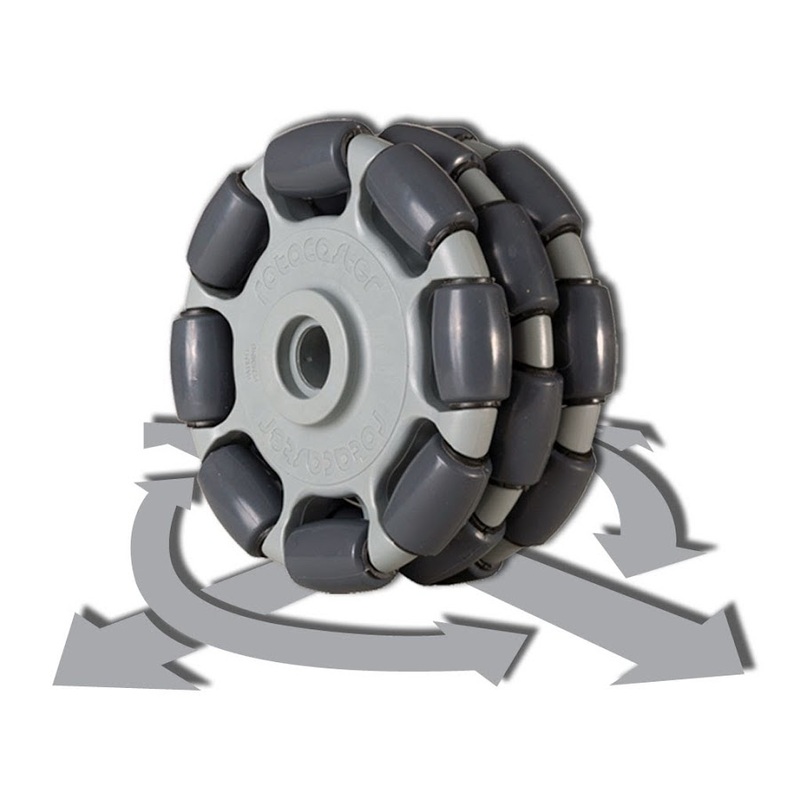 The double Rotacaster wheels distribute the floor load and the unique polyurethane rollers eliminate floor scrubbing and pivot point carpet tears. 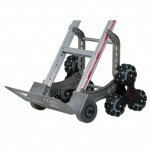 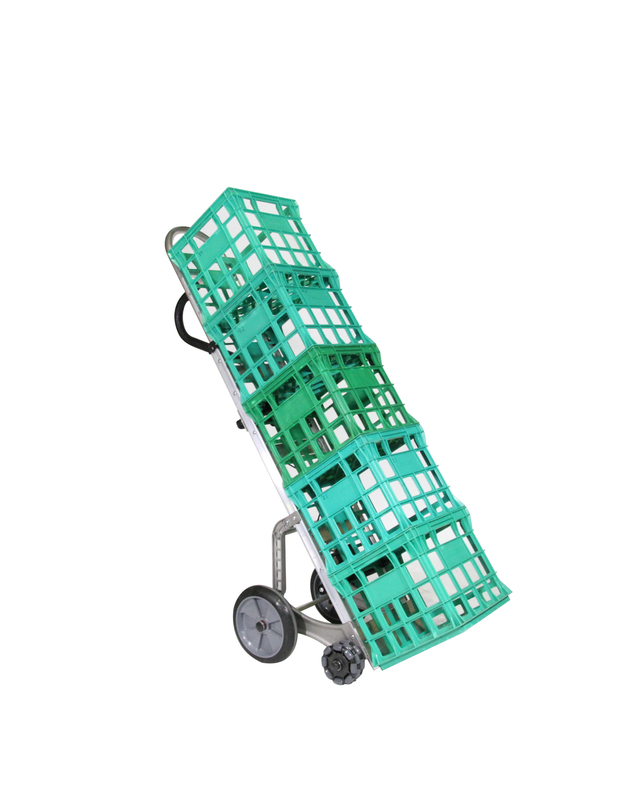 The Jockey wheels enable easy vertical positioning without toe floor contact. The unique wheelbase allows the precise navigation in confined spaces as well as the improved navigation of flights of stairs.